Zc665. ID: DNST8400333. 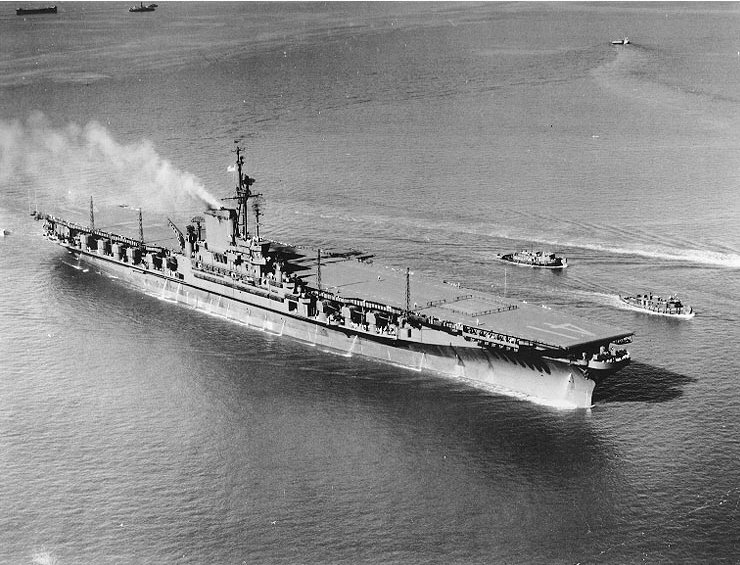 A port quarter view of the aircraft carrier USS MIDWAY (CV 41) being maneuvered into Alava Pier by four tugs. This is a good shot into the Gordon Heights Valley. 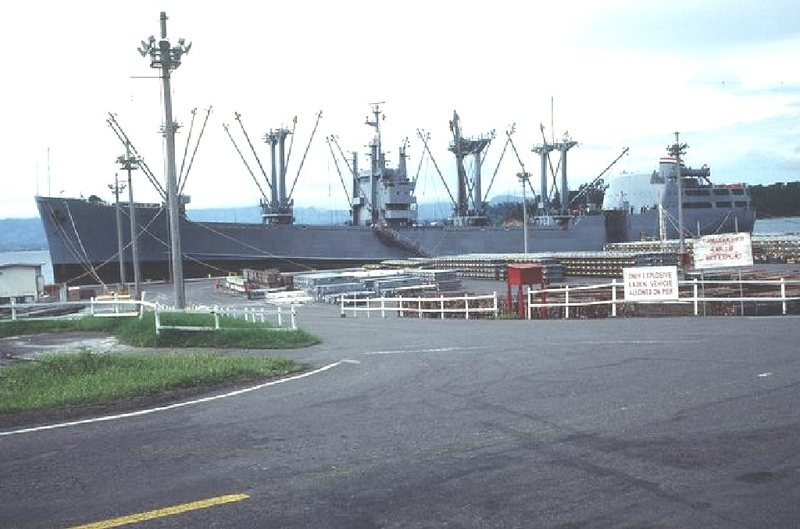 These pictures are about the Naval Base Subic Bay after 1980 and were downloaded from the Defense Visual Information Center (DVIC) at about 2003. As a PC beginner then I failed to download the pictures in high resolution. 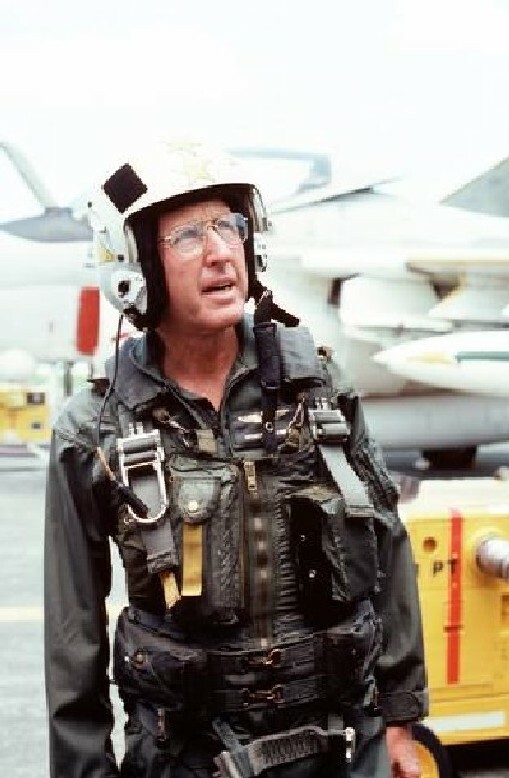 Most of the pictures are about the USS Midway CV41 and the Chief of Naval Operations (CNO) visiting Subic Bay. 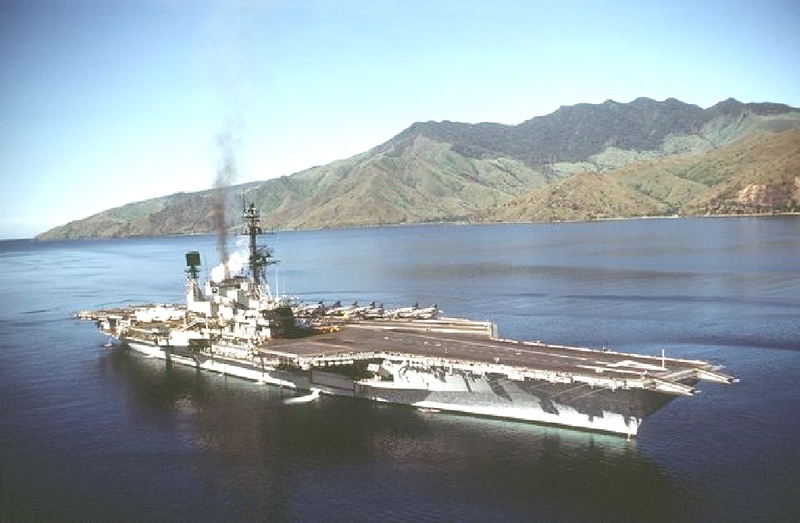 USS Midway CV41 was home ported in the Western Pacific (WESTPAC) in her last years and was a frequent visitor to Subic Bay. 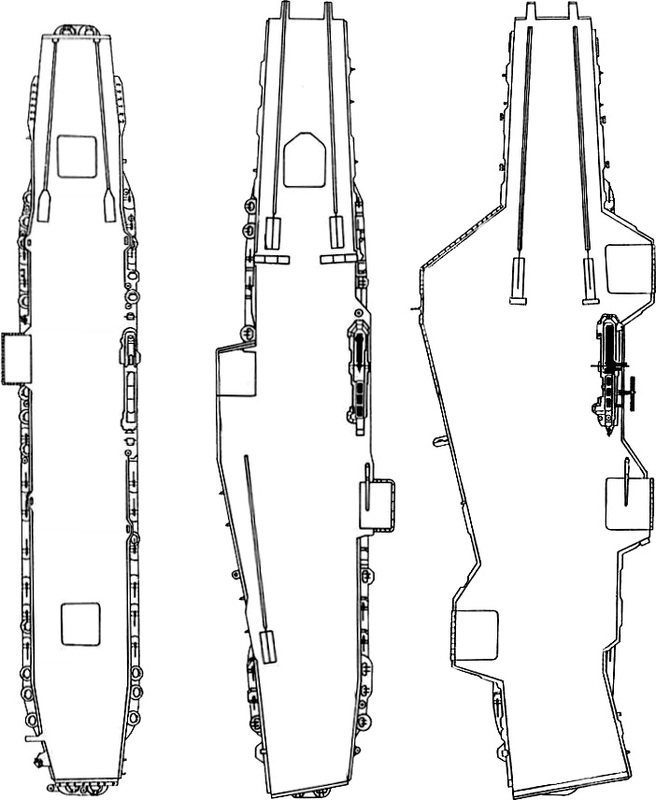 USS Midway CV41 and 3 images from Wikipedia, this page, click here! 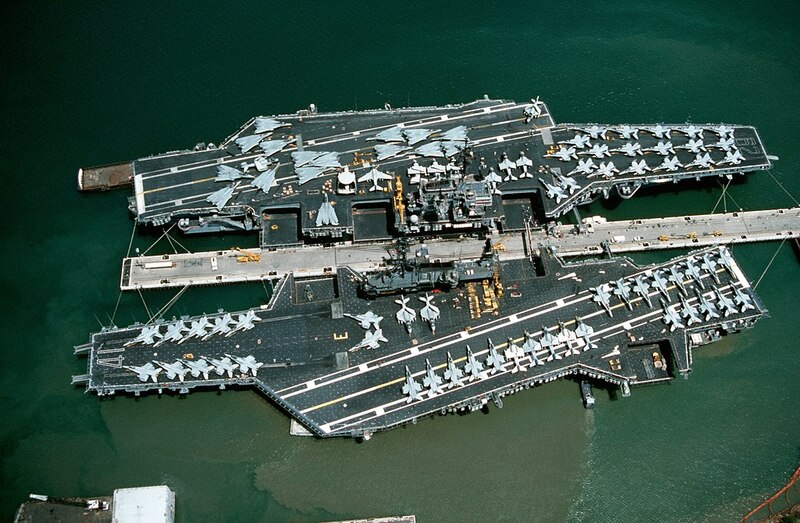 USS Midway (CVB/CVA/CV-41) was an aircraft carrier of the United States Navy, the lead ship of her class. 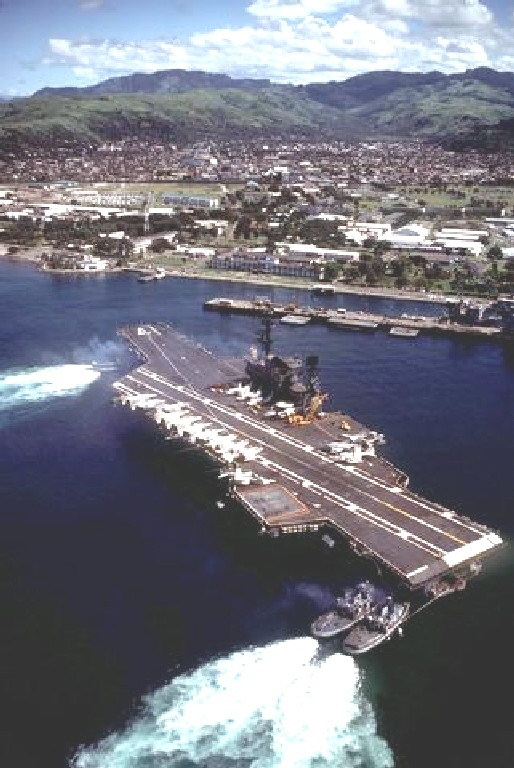 Commissioned a week after the end of World War II, Midway was the largest ship in the world until 1955, as well as the first U.S. aircraft carrier too big to transit the Panama Canal. 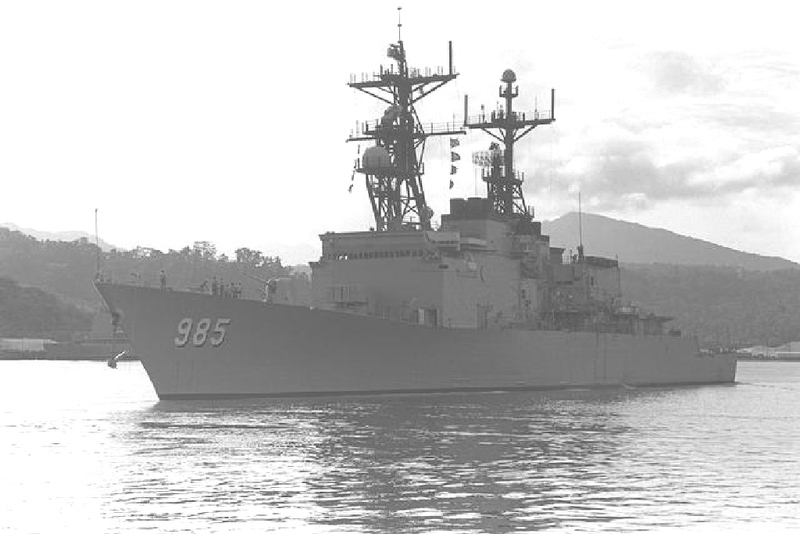 She operated for 47 years, during which time she saw action in the Vietnam War and served as the Persian Gulf flagship in 1991’s Operation Desert Storm. 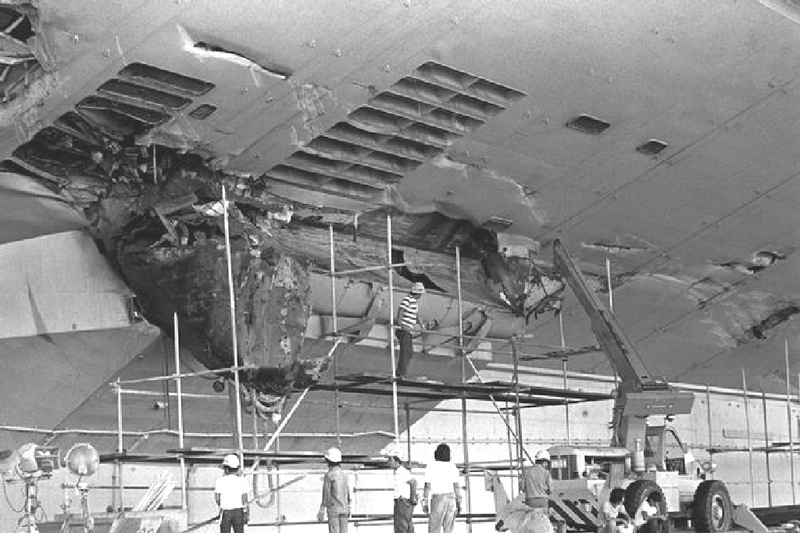 Decommissioned in 1992, she is now a museum ship at the USS Midway Museum, in San Diego, California, and the only remaining U.S. aircraft carrier commissioned right after World War II ended that was not an Essex-class aircraft carrier. Zc666a. USS_Midway_(CVB-41)_after_commissioning 1945 from Wikipedia. 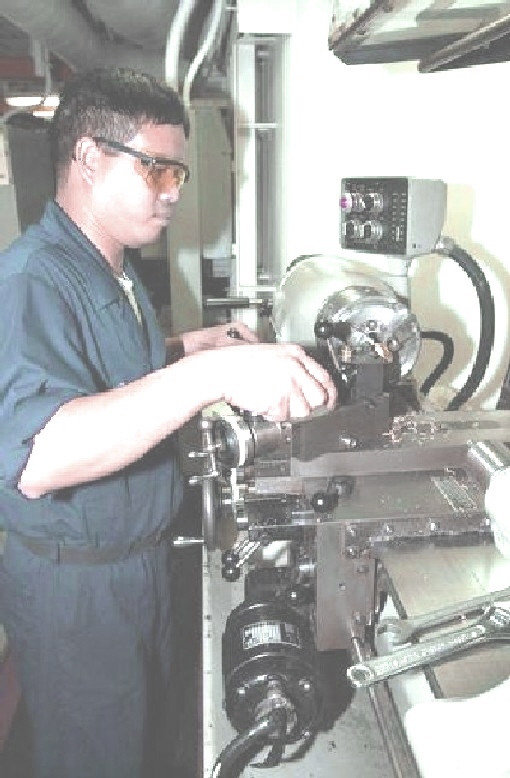 Aboard the USS ABRAHAM LINCOLN (CVN 72), Machinery Repairman Fireman (MR) Delbarto Solana, of Subic Bay, Philippines manufactures a charging adapter for an oxygen fueling station. Zc669. ID: DNST8401081. 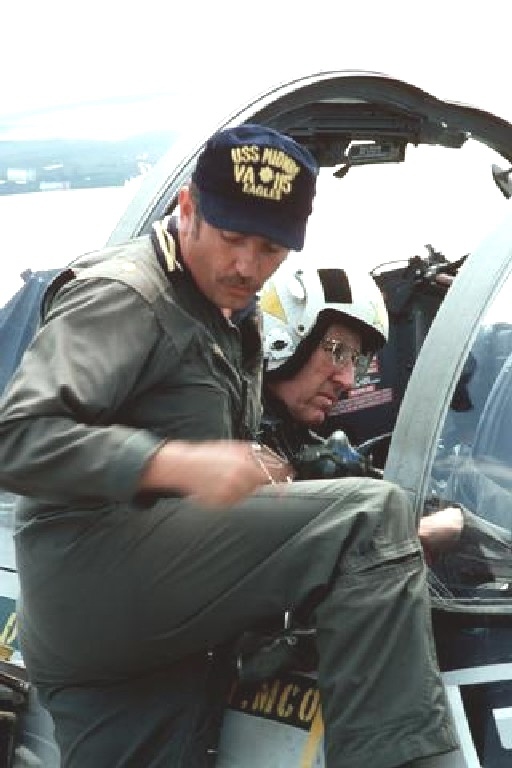 Admiral Thomas B. Hayward, Chief of Naval Operations, talks to a flight captain prior to take-off in the A-6 Intruder aircraft that will take him to the aircraft carrier USS MIDWAY (CVA 41) for a visit. Location: NAVAL STATION, SUBIC BAY. Zc673. ID: DNSN8403323. 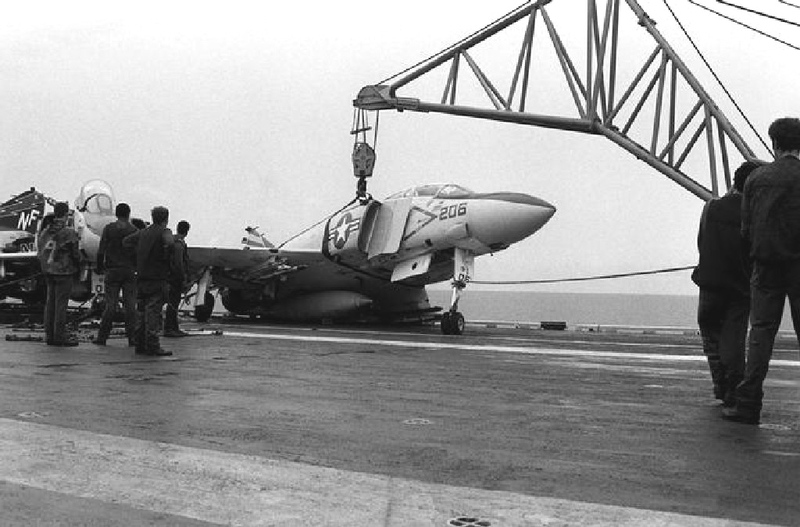 A crane is used to lift an F-4 Phantom II aircraft away from the port side deck edge of the aircraft carrier USS MIDWAY (CV 41). 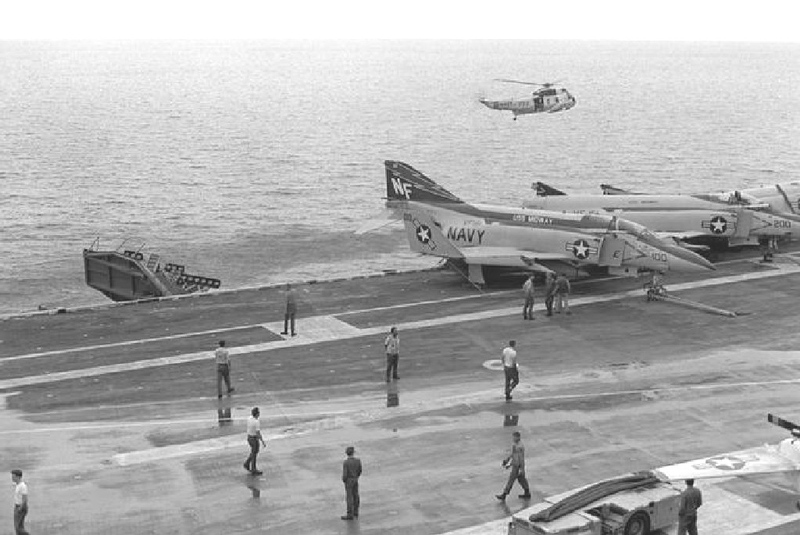 The F-4 was damaged when the MIDWAY collided with the Panamanian freighter CACTUS. 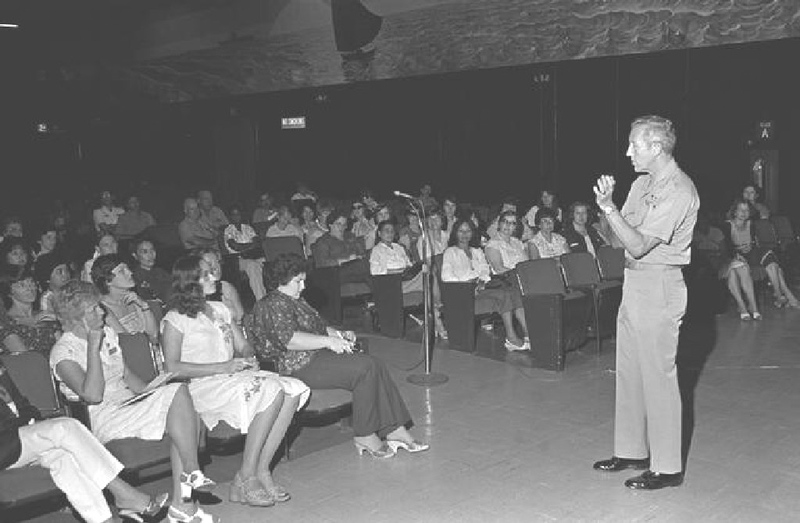 Location: NAVAL STATION, SUBIC BAY. Zc675. ID: DNST8400244. 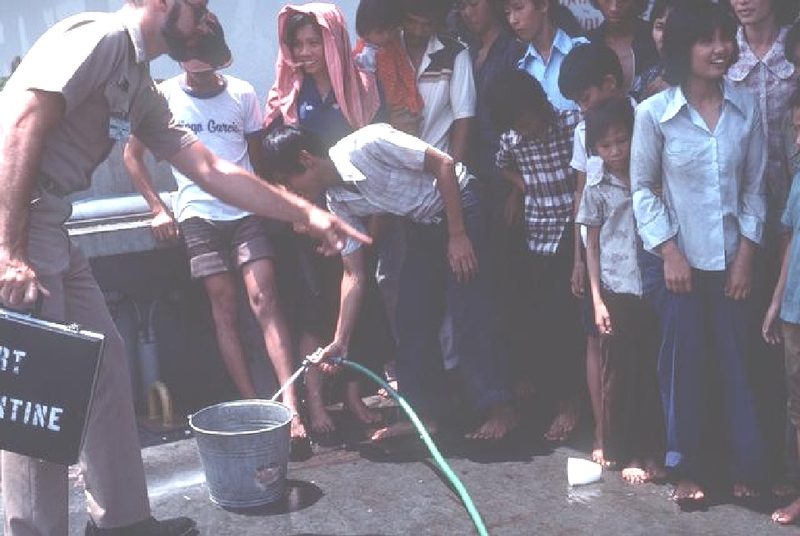 Hospital Corpsman J.J. Burke directs a Vietnamese refugee as he hoses down a portion of the aft section of the Military Sealift Command merchant ship USNS MASON LYKES. The ship has just arrived at the Naval Supply Depot with 59 refugees who were rescued from a small boat in the open ocean. Location: NAVAL STATION, SUBIC BAY. Zc677. ID: DNST8400328. 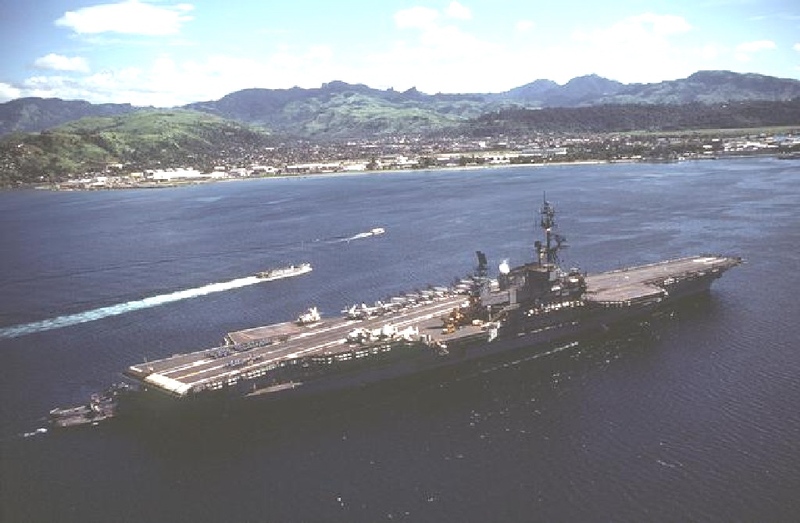 A starboard bow view of the aircraft carrier USS MIDWAY (CV-41) entering Subic Bay. The point all the way to the right is called: The Quarry. That is part of the Hanjin Shipyard now.